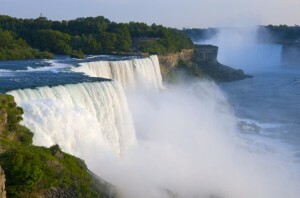 We can recognize Niagara today as a haven for all peoples looking for a fantastic vacation. The attractions and festivities are fun for all creeds and colors, all sizes and shapes. Even the splendor of the falls themselves is appealing to all sorts — it’s basically undeniable that the falls are wondrous to behold no matter where you come from. However, before Niagara became a vacationer’s wonderland — even before Europeans “discovered” the new world — Niagara was populated and revered by America’s very first travelers: American Indians. If you like to read up on the history of a place when you plan your vacation, here’s a brief exploration of Niagara’s native population. Nomadic peoples first discovered the Niagara region around 12,000 years ago, right when the falls first started to form. These primary inhabitants were members of the Clovis culture of nomads in North America. These people are recognizable in archaeological digs throughout North America by their unique and revolutionary method of chipping stones for weapons and tools. Most likely, these first inhabitants settled seasonally along the shores of Lake Eerie to hunt the migrating caribou, moose, elk and mastodons. One of these earliest groups called themselves the Onguiaahra, which is suspected as being the inspiration for the modern name Niagara. Hunter-gatherers roamed the area for a little less than nine thousand years, through both the Archaic and Woodland periods. During this time, small groups would stay in the area year around, including the harsh winters, but large groups would migrate to the area during lush and fruitful summers to hunt deer and moose as well participate in mass fishing initiatives along the lakes and rivers. In the Woodland period, the Iroquois began cultivating the soils around Niagara for agriculture, planting corn, beans and squash to fill the bulk of their diet. With food needs covered, the Iroquois were able to establish more permanent communities with palisaded villages and surprisingly large populations. Various complex cultural rituals were introduced during this period, including burial ceremonies and ceramic creation, and more complicated political systems came into being with the enhanced importance of kinship ties. Of the Iroquois confederacy, the most prolific in the Niagara region was the Atiquandaronk tribe. These groups, like many of the Iroquois, lived communally in huge longhouses segmented into areas for different kinships and classes. French explorers were the first of the white settlers to discover the Niagara region. They renamed the resident American Indian groups the “Neutral” tribes, though they included more than nine different tribes under this single moniker. The promise of trade from the wealthy and exotic Europeans as well as age-old disagreements encouraged inter-tribe fighting, which led to the degeneration of the native cultures. Additionally, the introduction of European missionaries as well as various European diseases and wars led to diminished native population and influence. After the War of 1812, virtually all of the native tribes had vacated the area or began assimilating (as best they could) with the European towns. Today, the Iroquois Nation still exists and continues to fight for the land and rights stripped of them by various European groups. 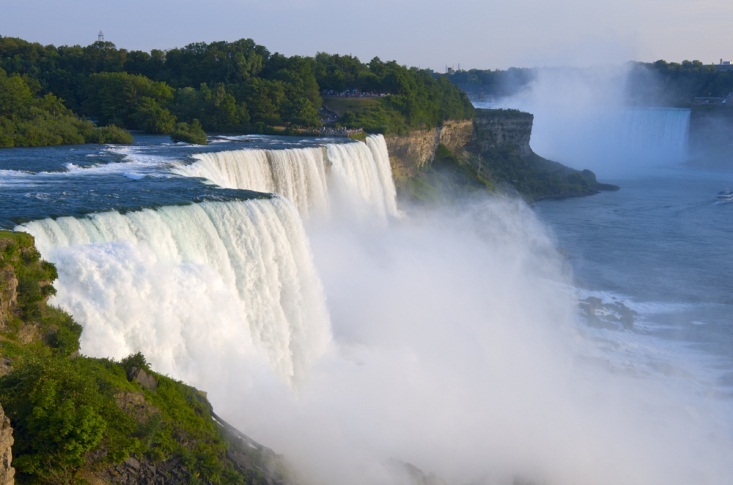 If you’d like to learn more about Niagara Falls, its history and its peoples, make sure to stop by the Niagara Falls History Museum during your stay.